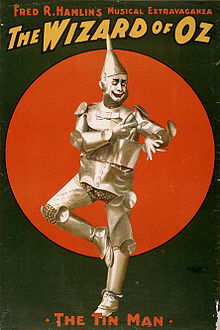 ^ Hearn, Introduction, The Annotated Wizard of Oz, p. xv n. 3. ^ Rogers, pp. 6-7; Hearn, Annotated Wizard, pp. xvii-xviii. ^ Rogers, pp. 8-9, 16-17 and ff. ^ Rogers, pp. 25-7 and ff. ^ Rogers, pp. 54-69 and ff. ^ Rogers, pp. 110, 177, 181, 202-5 and ff.